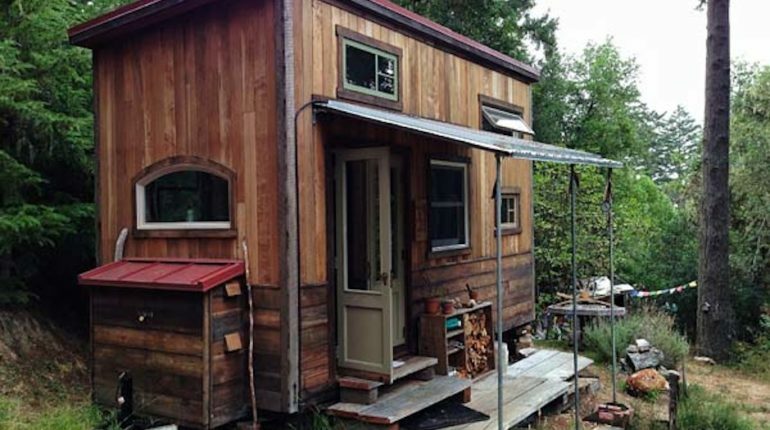 A tiny cabin is part of the tiny house movement that has been gaining popularity steadily over the years. People are deciding that what you do with your life is more important than where you live. Most of us live in places that are much larger than we need and as a result we become bogged down in the day-to-day minutiae of caring for the structure, doing maintenance and working to pay for the higher mortgage and taxes. Instead we can choose a tiny cabin that is more closely suited to only what we need for living without all the unnecessary extras. This requires us to carefully consider our lives and our needs, to consult with our partners, spouses and families to understand what they need and to be bold in making the decisions necessary to get our lives under control. Most people swear they will never go back to the old wasteful ways once they have experienced the tiny house or small cabin lifestyle. The increased simplicity and extra time in their lives means they can focus on those things that are most important to them and let the rest go. Financially, having a smaller initial outlay and smaller mortgage payments means that more capital is freed up to invest. Although real estate (such as an investment log cabin) can be a great inflation hedge, the returns often don’t match up with what could be earned in a simple low-fee index fund. In addition, by making the decision to live in a tiny cabin, all the other associated costs are reduced: from down payments to mortgage balance and interest. Real estate taxes and utility fees are less. Not only are you saving money but you are also putting a smaller load on the environment by not using as much water and electricity. Your small cabin energy needs are much less than those associated with a large log home. You pay less and the earth benefits as well. With reduced energy needs, alternative sources of energy become much more viable. An array of solar panels on the roof can provide the solar power needed for the cabin and any extra power generated can be directed back into the grid (if connected) for a credit. Water heating can often be done with the sun for at least part of the year using passive solar water heaters. On-going repairs and maintenance costs are reduced as the area of each building assembly is smaller. The size of your cabin roof, for example, may be only a fraction of a typical large house and the cost of a replacement roof down the road will reflect that reduced cost as well. 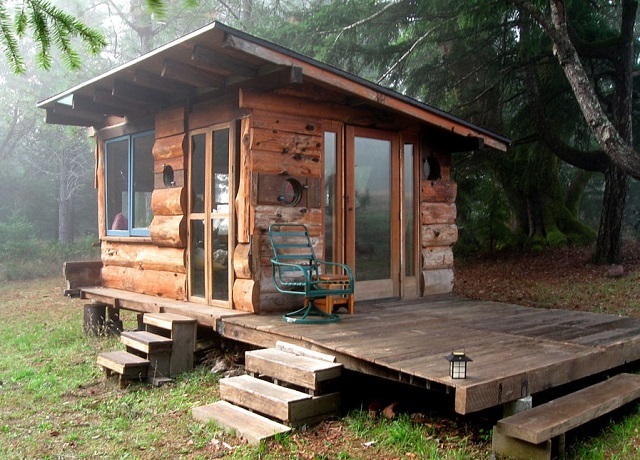 A tiny cabin can’t really be defined perfectly since all situations are different and relative. 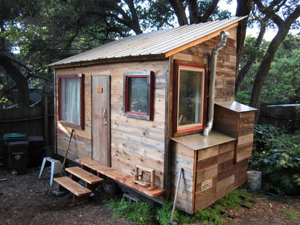 Generally when people speak about tiny houses they mean a dwelling between around 65 sq. ft. to 400 sq. ft. 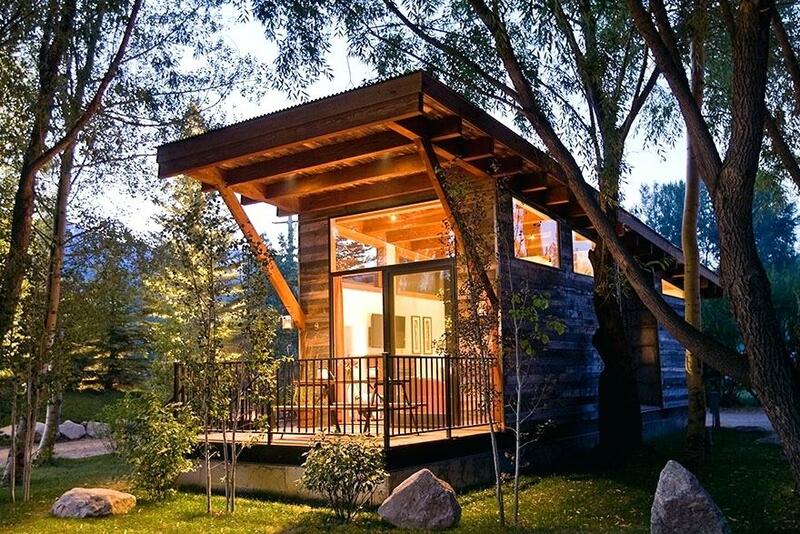 The next step up from that is often referred to as a small cabin or house and these range from 400 sq.ft to 1000 sq. ft. The point is that we can get our needs met without consuming extra space and energy and still live fruitful, rewarding lives. The idea is not necessarily getting as small a space as possible, more about being conscious of our decisions and living mindfully, only utilizing what is needed and eliminating waste. Living small can open up further opportunities down the line because you’re nimble - not tied down to all the stuff and having to pay for it. You are freer and have more money available. De-clutter your life, simplify, and open up your mind and your world. Many people are constrained by their budget from moving or buying a place to live. By focusing on what is essential and choosing a tiny cabin over a large log home, folks are able to move forward with the next phase of their lives much sooner.